I love traveling by train and generally find it preferable to a bus, especially in developing countries. In many places, however, train travel is something to be tolerated rather than enjoyed. 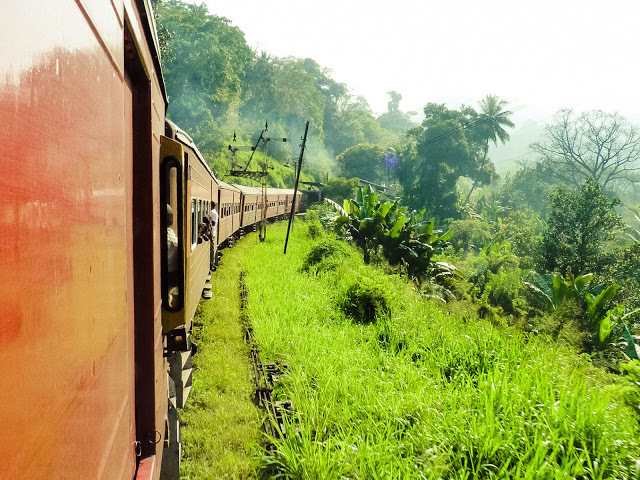 We were happy to find that in Sri Lanka, with it’s short distances and cheap first-class travel, the train was a safe, and easy way go get around; and nowhere more so than on the route connecting Colombo to Kandy and the hill country beyond. Where else in the world can you travel in a first class observation car for 3 dollars (360 rupees) ?